A Continuous Positive Airway Pressure (CPAP) machine ensures that your airway stays open while you sleep. Medical Necessities has Registered Respiratory Therapists on staff to assist you and we provide the latest PAP devices with advanced technology that can communicate your progress with your doctor on a daily basis. Standard or Fixed Pressure CPAP Machines have been the long standing staple and recommended treatment for sleep apnea for many years. A fixed pressure CPAP machine delivers pressurized air via a CPAP mask (see: Nasal Pillow CPAP Mask, Full Face CPAP Mask, Nasal CPAP Mask) and that pressurized air provides a pneumatic splint in the airway that keeps it from collapsing during sleep. The pressure measurements are delivered in a range of 4cm/H2O to 20cm/H20, however, with a standard or fixed pressure CPAP machine it will only generate 1 specific setting throughout the entire night (excluding ramp time). An example of a fixed pressure CPAP machine would be 12cm/H2O, and that means once the machine has ramped up it will continue to blow out 12cm/H2O the entire course of the night. People sometimes confuse standard or fixed pressure CPAP with Auto CPAP because their machine comes with a ramp mode feature. However these 2 machines differ greatly in therapy delivery and ramp mode is simply a comfort feature that allows the user to fall asleep on a lower pressure while the machine “ramps up” to the fixed pressure setting, usually over a 20 minute period. While standard or fixed pressure CPAP is the most commonly prescribed device, many users are gravitating to Auto CPAP machines. Auto CPAP machines are similar to standard CPAP machines in which a single pressure setting is delivered, however, this pressure setting can automatically adjust over the night when the machine detects you need more pressure to stabilize the airway. The big question that always comes up is why would you need more pressure? The answer is easy, during the course of the night we enter different stages of sleep and some of those stages are deeper and relax the muscles more, especially those that support the airway. 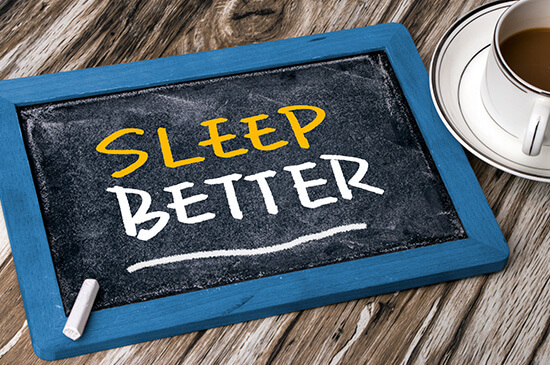 There are also certain positions of sleep that make us more prone to sleep apnea events, like sleeping on your back versus sleeping on your side. Auto CPAP machines operate on a range of 4cm/H2O to 20cm/H2O and will adjust up and down during the course of the night. Auto CPAP machines can also be programmed to standard or fixed pressure CPAP mode, this is beneficial because your treating physician can determine your compliance and AHI (apnea hypopnea index) between the 2 therapy treatments. Auto CPAP machine can also have the range adjusted and what that means is a minimum pressure can be set as well as a maximum, so if you doctor wants you to stay in a range of 6cm/H2O to 12cm/H2O, the machine is not going to go outside of that range. Bi-Level PAP therapy uses 2 levels of pressure to treat sleep apnea, an inspiratory pressure (IPAP) and an expiratory pressure (EPAP). This simply means that a pressure delivered upon inhalation is higher than the pressure upon breathing out and is beneficial to a person that has trouble exhaling against standard CPAP pressure. The pressure settings are separated by a pressure support threshold of 3-6 cm/H2O (example: a person on 16cm IPAP and 12cm EPAP have a pressure support of 4cm, the difference between the 2). Bi-Level is the proper name; however most people, physicians included refer to it by a manufacturer trade name of BiPAP, similar to how most people call cotton swabs Q-Tips. BiPAP is Bi-Level; it is also referred to as VPAP, another manufacturer trade name for the same type of therapy. Sounds confusing right? 1. A person with such severe apnea that requires a fixed CPAP pressure that is too high (i.e. 15cm/H2O). Many sleep labs have a protocol that states when a person gets to a certain pressure threshold to switch them over to Bi-Level. 2. It’s meant to assist in compliance, a person who is non-compliant, meaning they do not use the CPAP machine, may benefit from a Bi-Level device that provides the comfort of exhaling against a lower pressure than the pressure they are breathing in. Auto Bi-level devices use a combination of Bi-Level technology and Auto CPAP technology and instead of having one fixed IPAP pressure and one fixed EPAP pressure, these two pressure settings auto adjust based on therapy need. So how does the device know when to increase the IPAP (inspiratory pressure) and when to increase the EPAP (expiratory pressure? The EPAP pressure (the lower number in your BiPAP/Bi-level setting) is the pressure used to eliminate obstructive apneas and stabilize the airway, meaning to keep it patent and open while the IPAP pressure is used to eliminate hypopnea, flow limitation, and any residual snoring. A pressure support number is established to instruct the machine the differences in pressure between the IPAP and EPAP, this pressure setting is typically between 3cm/H2O and 6cm/H2O. Much like Auto CPAP machines, the Auto Bi-Levels can operate in 2 modes which are the standard Bi-Level Mode or Auto adjust mode. Many of the candidates for Auto Bi-Level have the same determining factors as the standard Bi-Level candidates listed in the above description for Bi-Level. For a listing of more PAP Products we carry, please view our online catalog or contact us today for more information.